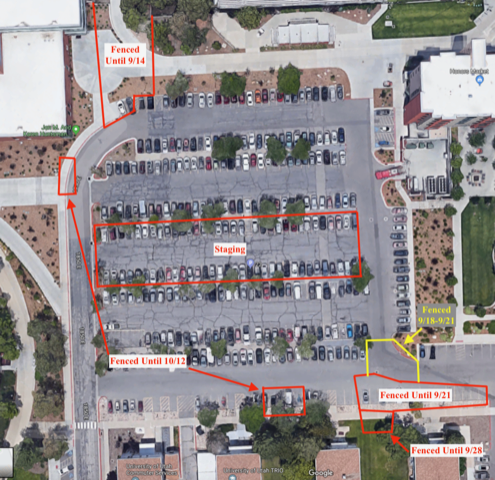 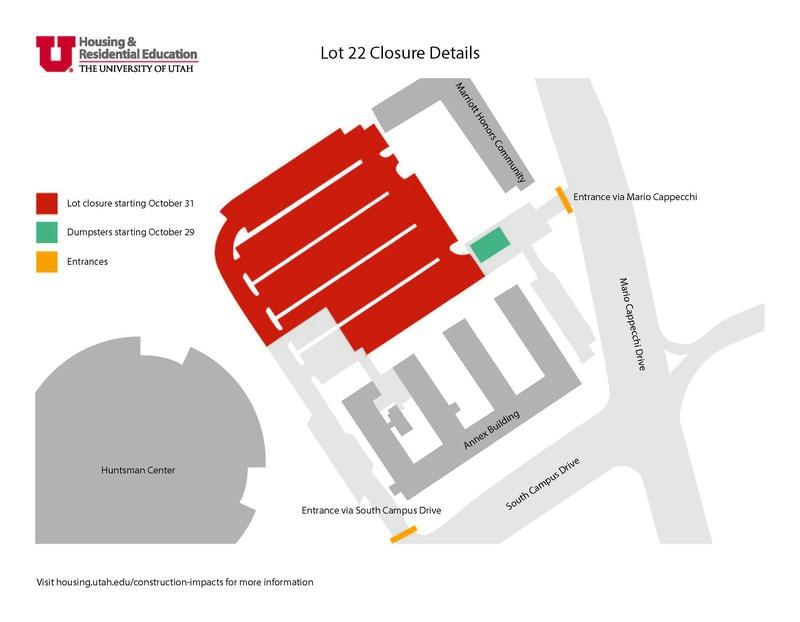 PARKING LOT NEAR MARRIOTT HONORS COMMUNITY TO CLOSE: On Oct. 31, 2018, fencing around parking lot 22 (near the Marriott Honors Community, Huntsman Center, Annex and HPER buildings) will go up. 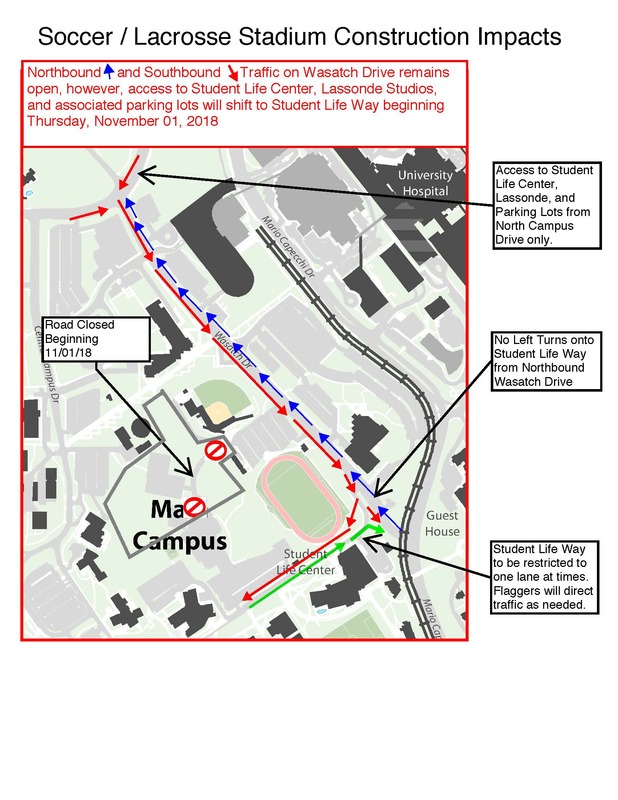 Parking in this area will be closed beginning Nov. 15. 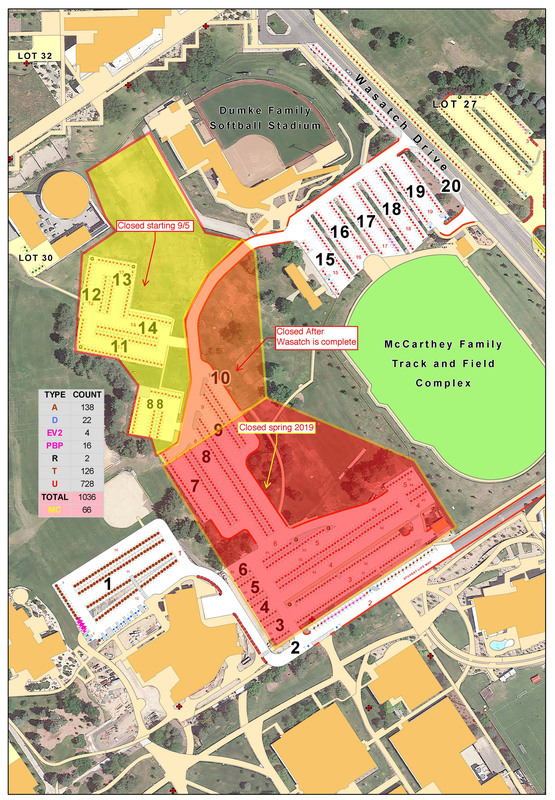 SOCCER STADIUM CONSTRUCTION: Construction on the soccer stadium began on Sept. 5. 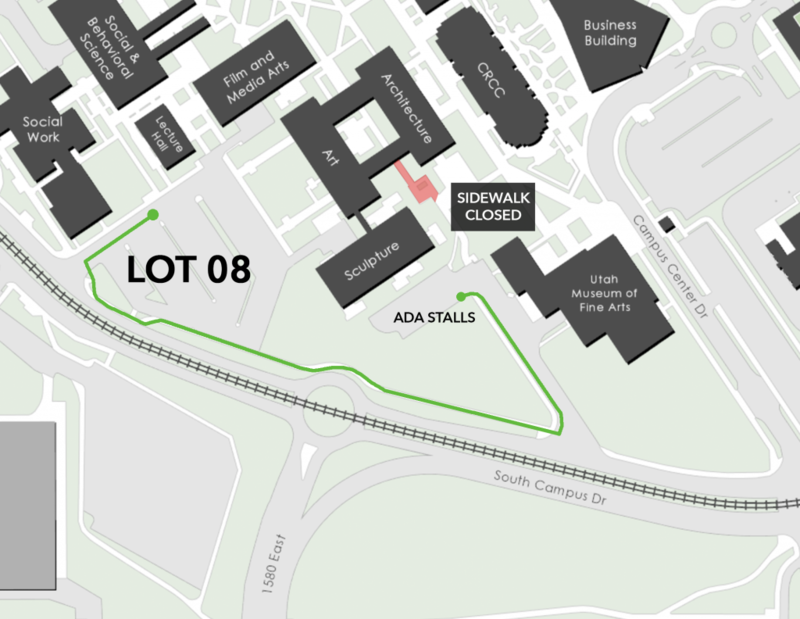 Rows 11-14 (the L shaped area off the road) and row 88 (the old tennis courts) are fenced off. 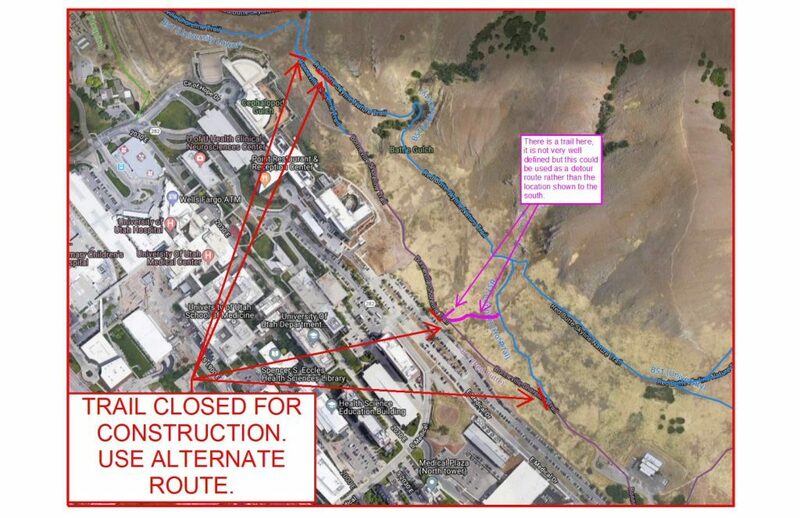 The roadway and additional parts of the area will not be closed until Student Life Way is opened to Wasatch Drive again. 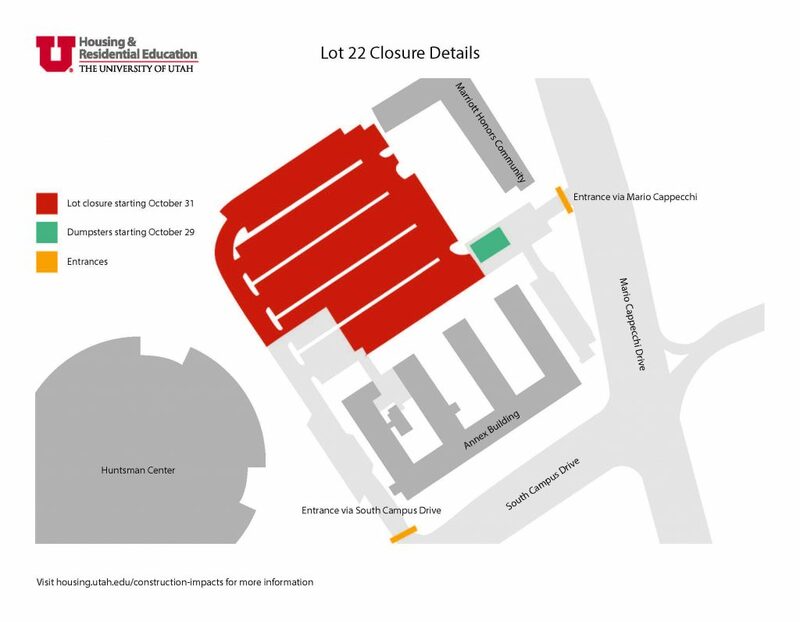 These are permanent closures and parking will not return.